Poll: How do you feel about Leo Varadkar being Taoiseach? He’s the youngest Taoiseach Ireland has ever had. How do you feel about it? LEO VARADKAR IS the new Taoiseach of Ireland. To much fanfare today, he was elected with 57 votes in favour and 50 votes against. His first job as leader was to form his new Cabinet. Here’s in and who’s out. 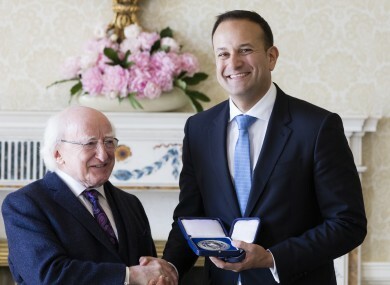 How do you feel about Leo Varadkar being Taoiseach? Email “Poll: How do you feel about Leo Varadkar being Taoiseach?”. Feedback on “Poll: How do you feel about Leo Varadkar being Taoiseach?”.